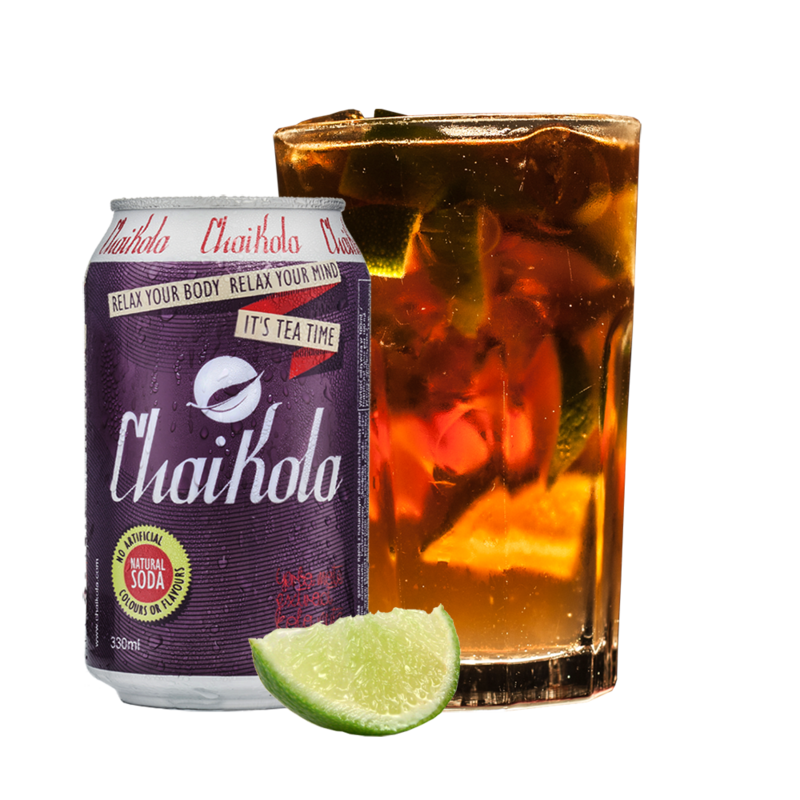 ChaiKola is a 100% natural, slightly carbonated, premium beverage. In ChaiKola East meets West: the world’s most popular drink – CHAI (tea) combines with the world’s famous taste, the taste of KOLA nuts. Natural properties of tea and yerba mate enriched by the scent of ginger, cinnamon, cloves, and kola nuts bring you an enjoyable sense of relaxation. Drinking ChaiKola relaxes your body and mind. ChaiKola’s unique properties result from the natural origin of its ingredients. The amber color of ChaiKola comes from the natural color of black tea. Our unique combination of plant extracts and flavours relaxes your body and mind. ChaiKola does not contain any artificial ingredients and preservatives. ChaiKola is gluten free and 100% vegan. 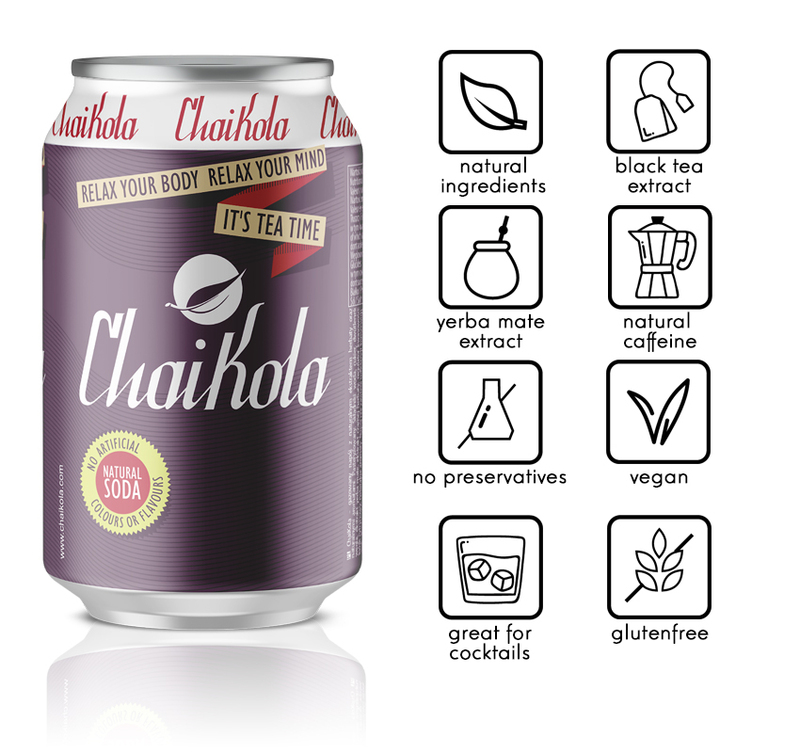 ChaiKola is a beverage for all who CARE about good, tasty and natural products. For those who CARE about quality and seek clear label. ChaiKola – RELAX YOUR BODY! RELAX YOUR MIND! WE ARE NUTS ABOUT KOLA NUTS! Water, sugar, carbon dioxide, yerba mate extract, black tea extract, acidity regulator: citric acid, natural flavors. Contains no preservatives. Pasteurized. According to the legend, Cuba Libre was invented around 1900 during the Spanish-American war in Cuba. Havana Chai is a cocktail directly referring to this classic combination of rum and kola flavor. Thanks to the rich taste of ChaiKola you will discover this popular drink again and again. Is obtained as a result of four processes – wilting, twisting, fermentation and drying the leaves of tea shrub. This is one of the oldest and best known beverages in the world. Antioxidants present in tea assist natural immunological processes of cells. Black tea helps concentration and relaxes the body. Infusion of dried and crushed leaves of Ilex paraguariensis. Yerba mate lowers the cholesterol level, protects liver cells, stimulates central nervous system and has beneficial impact on cardiovascular system. Like black tea, yerba mate is a natural source of antioxidants and caffeine.